Online Shopping Is Growing Fast! Tension has been building regarding the future of brick and mortar retail for years. Yes, online is growing at a faster rate than retail as a whole, but does that mean the success of online somehow dramatically diminishes retail sales in actual stores? The answer is not all that simple. Some industry experts say yes, but others say it seems to have turned into a more complimentary relationship. Still there are those experts who say certain types of retail are more affected than other and these retailers are charged with changing their tactics to embrace technology in order to survive. While the face of retail is currently experiencing another step in its evolution, sales from physical retail establishments still outweigh online retail by a huge margin. Close to 94% of all retail sales still takes place in an actual store. However, if you look at the growth in sales over the past three years, you can see that online sales are booming. Every day you can read something in the news about Amazon changing the face of retail. So what’s going on? If you can bear to look at a few statistics, they might shed some light on all of this. While you can see online sales are growing at a healthy rate, online retailers are vexed with other issues that need to be remedied. One issue is cart abandonment. There seem to be an awful lot of tire kickers – to the tune of $4 trillion in 2014. Think about it. How many times have you abandoned buying something either because there was a problem with the payment process, you were forced to register an account, or unexpected shipping costs made your purchase no longer “a great deal”? Fear of fraudulent transactions and identity theft are a reality as well. Putting customer service and online shopping in the same sentence often makes people laugh. Approximately $41 billion is lost each year because of poor customer service from online retailers. There is nothing more frustrating than having an issue with a product or service and finding there is no way to actually talk to a person. So what about this complimentary relationship? Smart retailers are taking a leap into what’s known as “showcasing.” This is where retail establishments display items in a store and then sell them to you online. That gives the shopper the experience of seeing and touching the actual product before purchasing (which is a big deterrent to some online shoppers). It also allows retailers to keep a much smaller footprint which lowers the cost of operation. 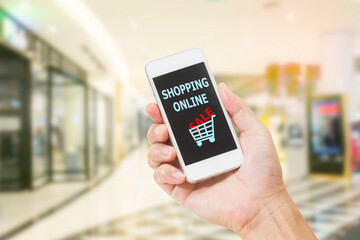 In a reverse scenario, people use the internet and mobile devices to do all of their research and then come to retail stores to make their purchases. In this sense, an online presence can actually increase sales conversions in the store. 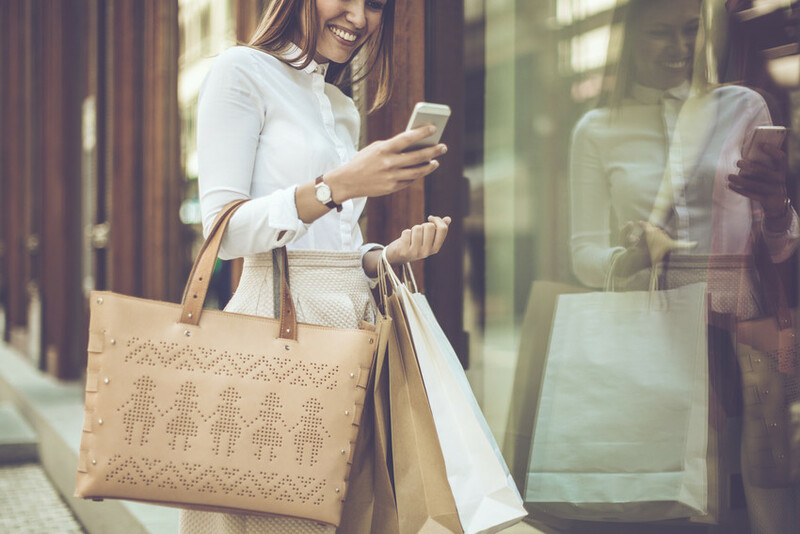 Statistics show most consumers do some form of combining mobile, online, and brick and mortar visits when making purchases, especially for luxury items and clothing. Retailers would be smart to continue to focus on mobile integration if they want to drive more traffic to their store in this way. The result of both these strategies is that Class A shopping centers, which cater to the higher-income consumer by selling luxury items, are thriving as consumers want the physical experience of shopping for higher priced goods. On the flip side, an increasing number of Class B and C shopping centers are losing ground and closing stores. Most affected are large, anchor retailers in B and C centers. A few are going out of business altogether, and others are shifting their focus by embracing the digital world, decreasing their footprints, and creating a stronghold in the online and mobile environments. Along with strategies to compliment in-store sales with digital sales, some retailers are actually changing the way they function. We discussed “showcasing” but some are also converting space to align themselves with the Amazon model of distribution centers which allow for fast delivery and pick-up locations for online purchases, and an actual customer service department where people can talk to a human to get their issues resolved. So it seems the answer to our original question is both yes and no. Brick and mortar is being affected as of the evolutionary result of online retail and that does affect the commercial retail real estate market. However, it maybe not as dramatically as popular media would have you believe. Total retail sales are still quite healthy. On the bright side, this phenomenon is creating a tremendous demand for industrial/warehouse properties as a result of changing strategies of retailers. Very useful article, thank for sharing valuable info. I’ve become aware of the shortcomings of my business regarding poor customer service. I just started reading your post and just after few seconds, I found it very interesting.